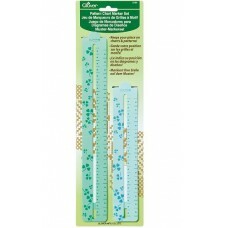 This graph ruler by Clover is perfect for sewing/knitting drafts or drawing seam lines. Parallel lin.. 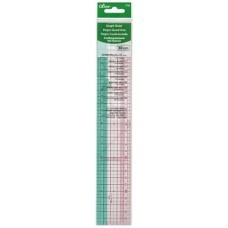 This Pattern Chart Marker Set by Clover makes it easy to keep your place on charts and patterns. Sli.. 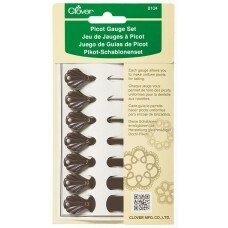 The Clover Picot Gauge Set was designed to allow you to make uniform picots for tatting. You can als.. 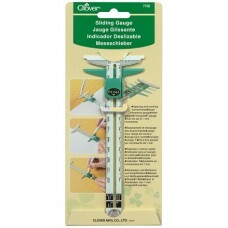 The Clover Sewing Gauge enables you to mark from 1 to 5 cm in 5 mm units. The gauge is made of metal.. 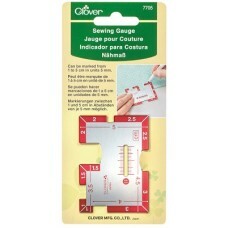 The Clover Sliding Gauge can be used for spacing and marking buttonholes, seam and hem allowance mea.. 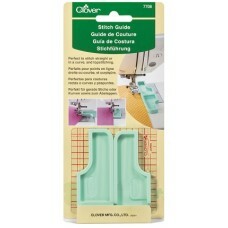 The Clover Sitch Guide can be aligned with the edge of the fabric for stitching. Perfect to stitch s..